Quaker Instant Oatmeal, Lower Sugar, Maple & Brown Sugar (48 count) only $8.86 shipped! 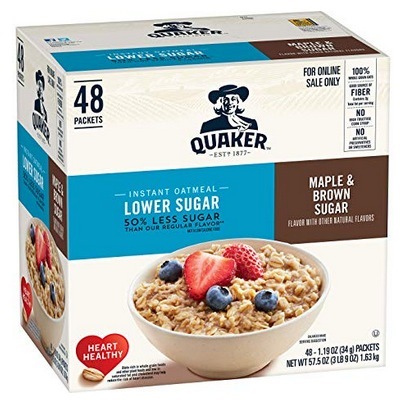 Amazon has this Quaker Instant Oatmeal, Lower Sugar, Maple & Brown Sugar (48 count) for only $8.86 shipped when you clip the 20% e-coupon and checkout through Subscribe & Save! « Contigo Autoseal Stainless Steel Travel Mug (2 pack) only $17.29!